Your browser does not support Flash, Silverlight or HTML5! Pay conversion What are the advantages? How to improve the recognition rate? 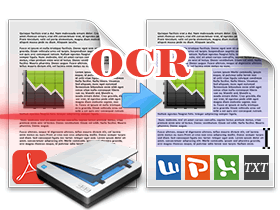 Optical character recognition (optical character reader, OCR) is the mechanical or electronic conversion of images of typed, handwritten or printed text into machine-encoded text, whether from a scanned document, a photo of a document, a scene-photo (for example the text on signs and billboards in a landscape photo) or from subtitle text superimposed on an image (for example from a television broadcast). It is widely used as a form of data entry from printed paper data records, whether passport documents, invoices, bank statements, computerised receipts, business cards, mail, printouts of static-data, or any suitable documentation. It is a common method of digitising printed texts so that they can be electronically edited, searched, stored more compactly, displayed on-line, and used in machine processes such as cognitive computing, machine translation, (extracted) text-to-speech, key data and text mining. OCR is a field of research in pattern recognition, artificial intelligence and computer vision.